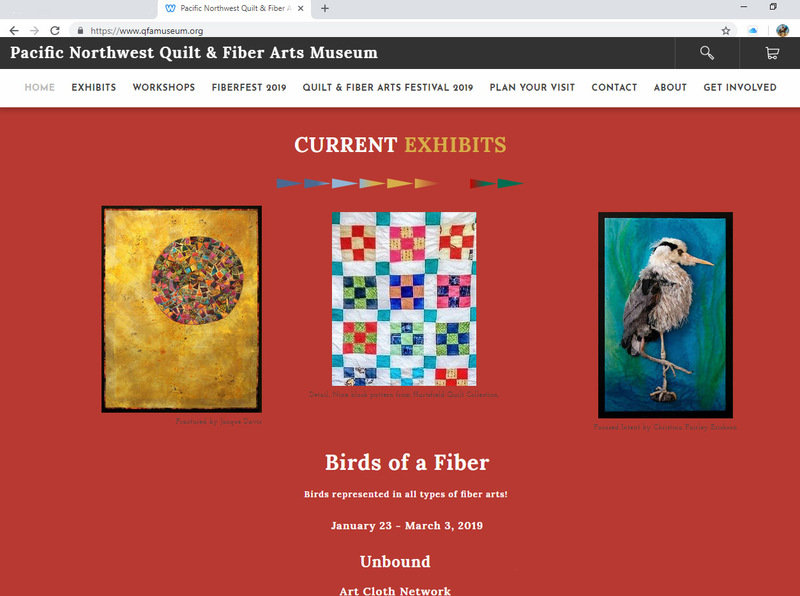 Pacific Northwest Quilt & Fiber Art Museum Exhibition Publicity Photo– Christina’s piece “Focused Intent” used as the publicity photo for their “2019 Birds of a Fiber”exhibition on their website homepage, website exhibitions page, quarterly brochure and email promotion. 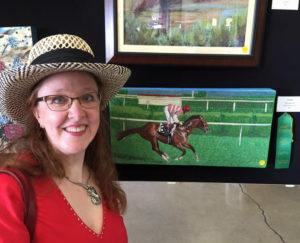 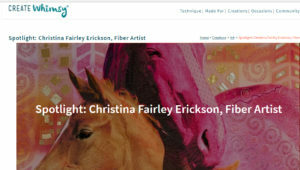 “Spotlight on the Artist – Christina Fairley Erickson” on CreateWhimsey.com a website of inspiration & techniques for makers. 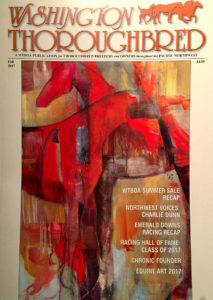 Read the pdf version of the interview here. 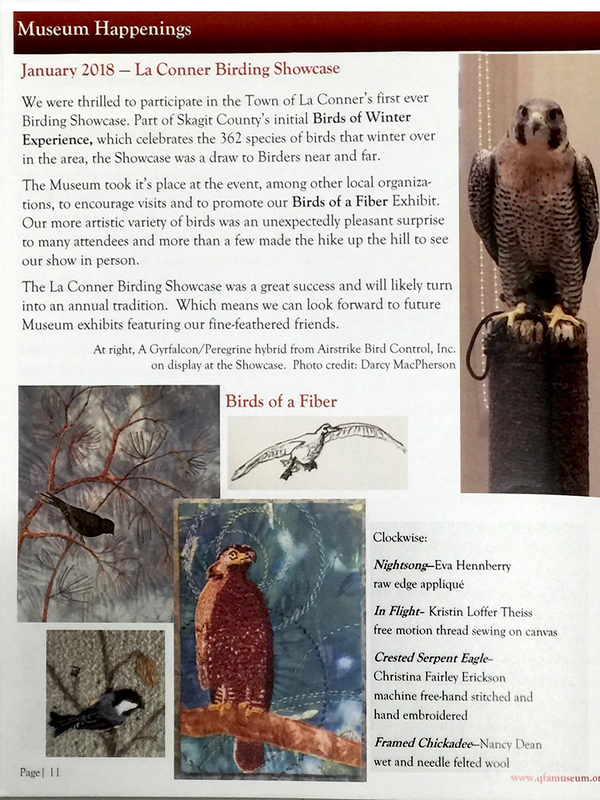 Pacific Northwest Quilt & Fiber Art Museum newsletter April 2018 – photo of “Crested Serpent Eagle” on display at their “Birds of a Fiber” exhibition. 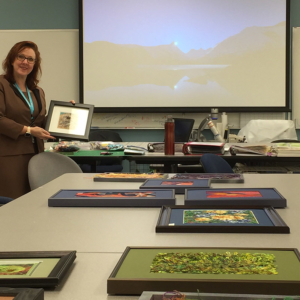 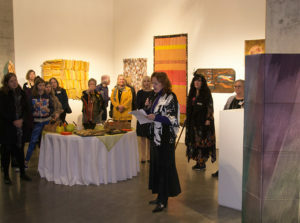 Gail Harker Center for Creative Arts: 2011-2018 – Completed certificate programs through Level 3 Advanced Experimental Stitch as well as numerous stand-alone courses, including “Impressionist Landscapes in Collage and Stitch”; “Stumpwork” (3D embroidery); “Hand-cast Paper”; “Goldwork Embroidery” (series of 7 sessions over 1 ½ years) and more. 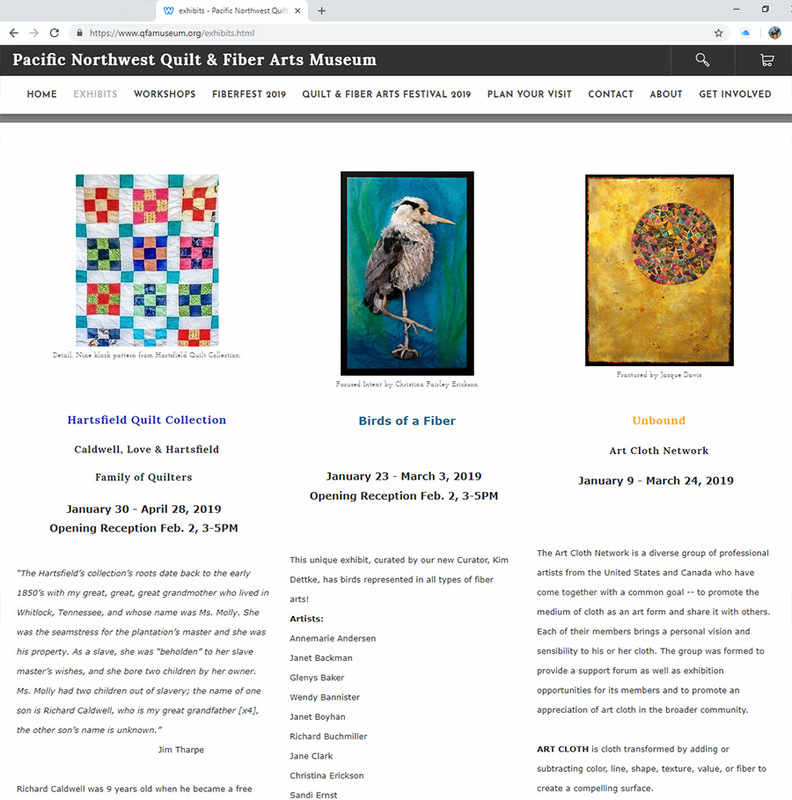 Executive Director — Washington State Surface Design Association “Fiber Fusion” Traveling Exhibition, June 2015- May 2017 (4 venues: Allied Arts- Richland, WA; VALA Art Center- Redmond, WA; Northwind Arts- Port Townsend, WA; Schack Art Center- Everett, WA.) 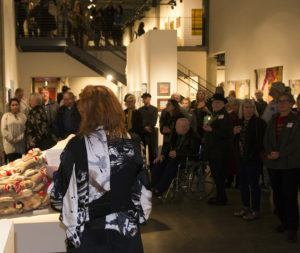 Responsible for all aspects of setting up the 4 exhibitions, running a staff of volunteers, arranging for educational programming to run concurrent to each exhibition, publicity and marketing, communications with galleries, jury process, communications with artists, and more. 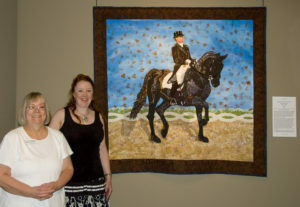 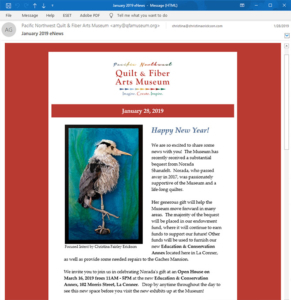 Christina’s large-scale stumpwork heron “Focused Intent” was used as the Pacific Northwest Quilt & Fiber Art Museum’s publicity photo for their 2019 “Birds of a Fiber” exhibition. 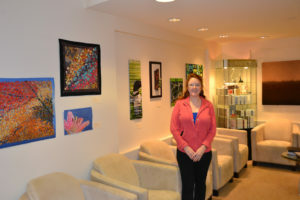 Christina with portion of Naficy Plastic Surgery Center exhibition she curated Nov 2013. 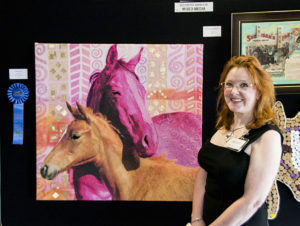 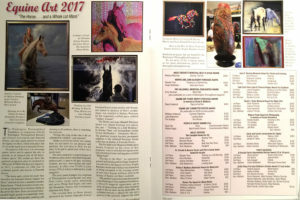 Article featuring Christina’s “In Klimt’s Corral” winner of the 2017 Equine Art Mixed Media award.